Me: Are you getting full? Husband: (somewhat defensively) There’s a lot of nutritional value in this! Now I get to pass along one of my first culinary tips to you. Generally in a single dish you want everything to be of similar size. There are exceptions to this, of course, but most of the time the dish is more visually appealing and easier to eat if everything is a similar size. 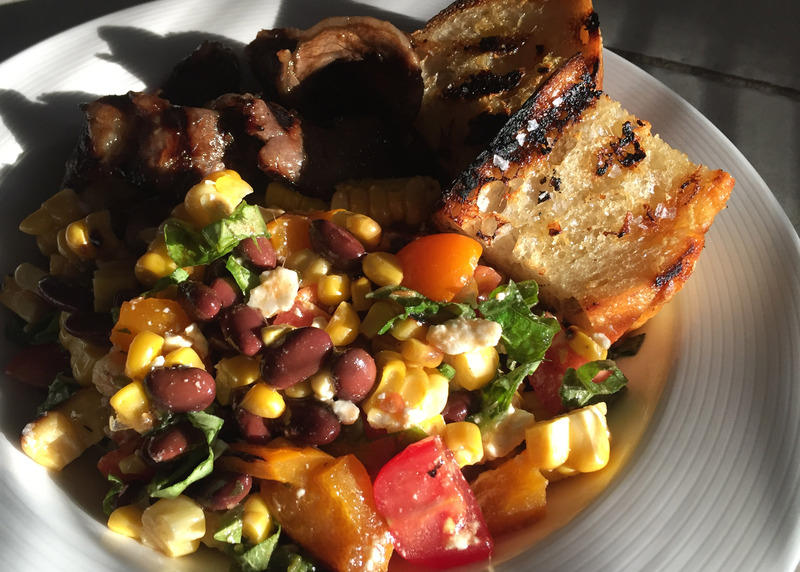 In this salad, we can’t change the size of the corn or the beans so we are cutting everything else quite small. 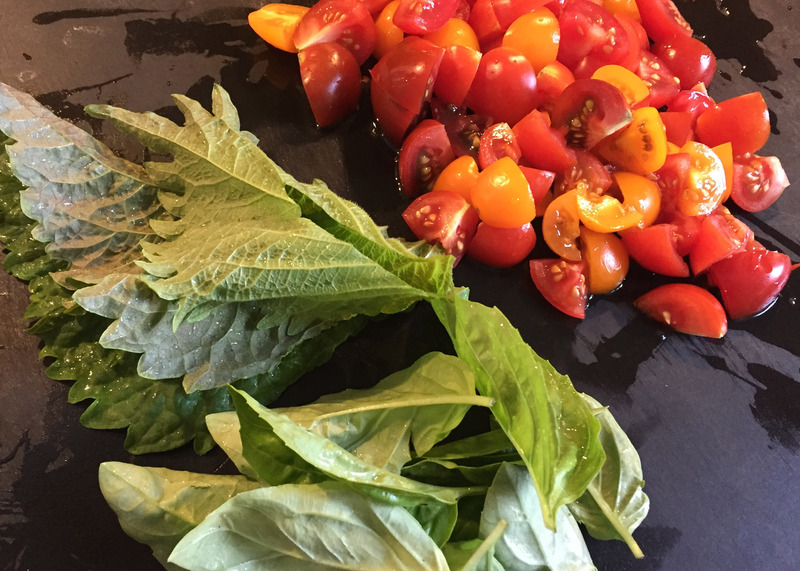 This is why the cherry or grape tomatoes are quartered, and gives you a guideline of how small to dice the peppers. And finally (note to Husband), you really don’t have to finish the entire dish just because it’s there. This recipe should feed 4-6 people and leftovers will keep very well in the fridge for a day or two. Just sayin’! Heat BBQ grill to high. Rub corn, bell pepper and jalapeño with a glug of olive oil and sprinkle with a bit of salt. 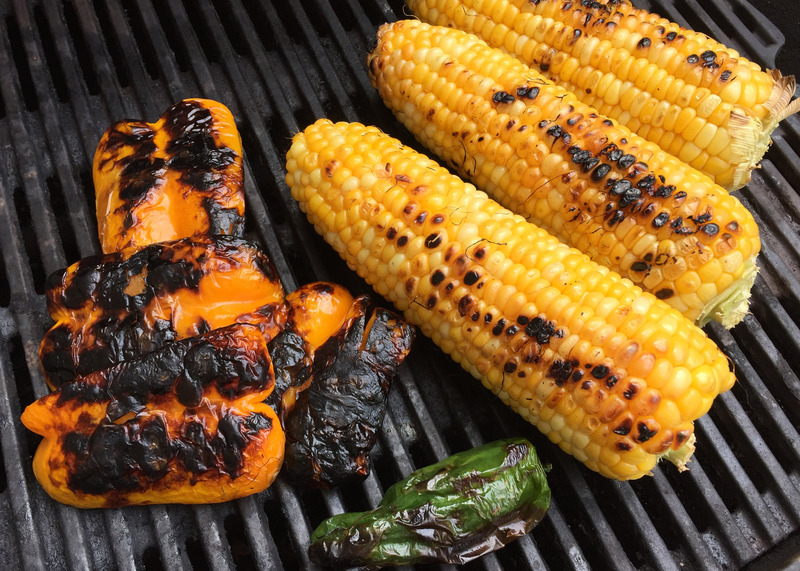 Grill corn, turning every couple minutes, until just starting to char. Cook peppers, skin side down (grill jalapeño whole), until skin is blackened. Remove from grill and let cool. 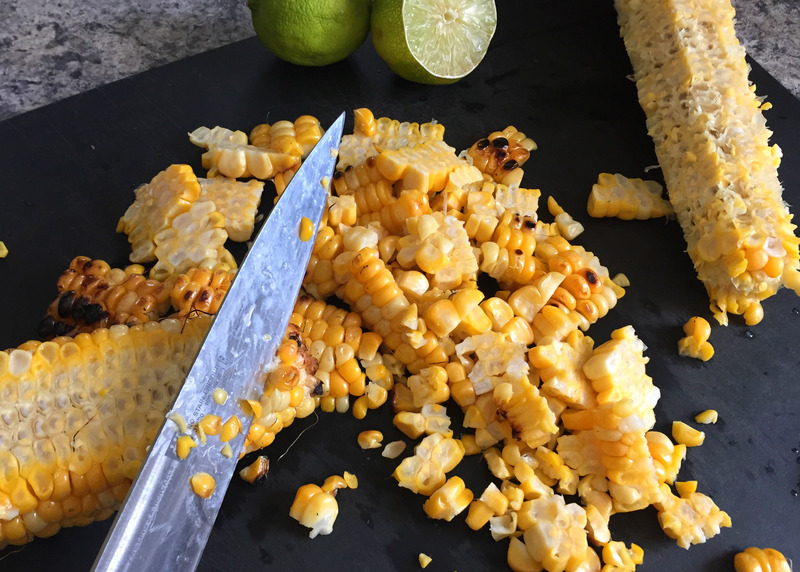 Cut corn kernels from cobs with a sharp knife. Remove skin from peppers (seed jalapeño pepper) and cut into smallish dice. 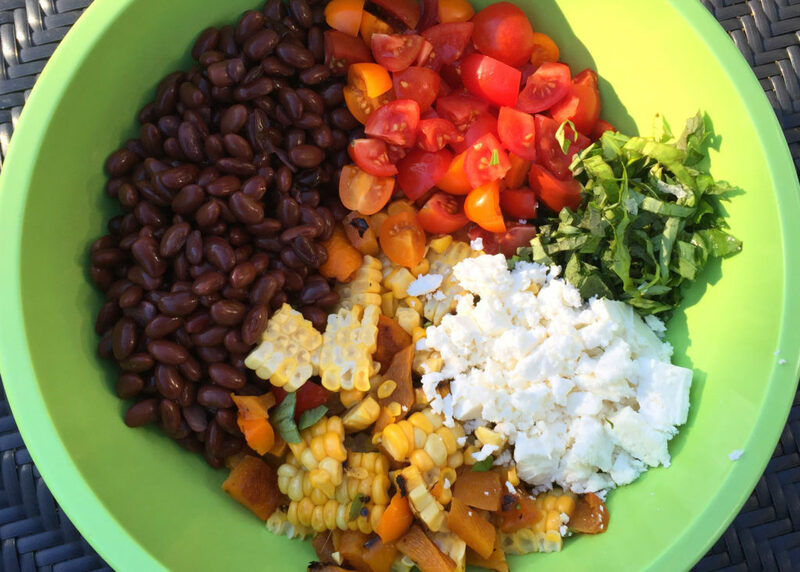 Add all salad ingredients to a large bowl. Add the first 5 dressing ingredients to a bowl. Slowly whisk in olive oil. Dressing will be a bit thin, this is ok. Add a pinch of salt and pepper. Taste and adjust seasoning to your liking. Pour over salad and gently stir. I served this with Korean beef kalbi and grilled bread. The great thing is you don’t need to serve much meat, if any. A few grilled prawns thrown on the side would also be perfect. The salad is so flavourful and filling that you should consider it the main portion of your meal… the rest is just garnish.